Salads are a staple food for obtaining critical nutrients from vegetables that promote the health of all our body systems. Salads are a staple food for obtaining critical nutrients from vegetables that promote the health of all our body systems. 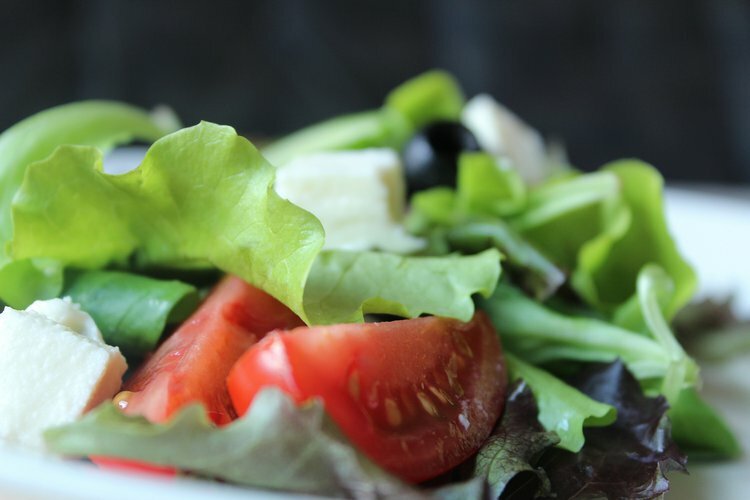 Even though salads are often associated with healthy foods, one ingredient can turn your salad from low calorie and nutrient dense, to unhealthy and rich in fat. Although they seem insignificant, these small salad mistakes can have a major impact on your health. Not all salad dressings are good for you; some contain a high amount of fat. However, replacing regular salad dressings with reduced fat or fat-free versions can actually remove necessary fats from your diet. Choose dressings that contain unsaturated fats instead of saturated or trans fats. Do not use more than a serving size, as recommended on the label. Bacon has become a popular salad addition to chopped or julienne salads. Despite its rich flavor, bacon can have a substantial impact on your health. The Harvard School of Public Health completed a study that showed that processed meats can cause cardiovascular disease and certain cancers. Replace bacon with lean protein such as grilled chicken or fish. Although garnishing your salad with croutons adds flavor, they are heavily saturated in butter or oil to reconcile their lack of flavor and freshness. Avoiding this extra fat and these extra calories by substituting them for kale chips or rice noodles, will have a more positive impact on your health. Be mindful when adding canned fruit to salads, such as mandarin oranges or pears. Although these fruits might not always be in season, they are usually soaked in heavy syrups and contain added sugars. Instead, opt for fresh fruit that is currently in season. Make a conscious effort to monitor the protein you add to your salads. Avoid adding more than one or two sources of protein. Adding cheese to a salad that already contains poultry or fish protein can add extra calories and fat to your salad. Leave out hard-boiled eggs if your salad already contains meat. Adding more nutrient rich vegetables like peppers, broccoli, carrots, cucumbers, onions, spinach, or tomatoes is a much healthier option. Next time you are looking to make or order a delicious salad, take a minute to examine the potential ingredients. Don’t make the mistake of choosing fixings that will cancel out the outstanding health benefits you can get from making the right choices. Buckland, N. J., Stubbs, R. J., & Finlayson, G. (2015). Towards a satiety map of common foods: Associations between perceived satiety value of 100 foods and their objective and subjective attributes. Physiology & behavior, 152, 340-346. Parmenter, K., Waller, J., & Wardle, J. (2000). Demographic variation in nutrition knowledge in England. Health education research, 15(2), 163-174. Veiros, M. B., da Costa Proença, R. P., Kent‐Smith, L., Hering, B., & De Sousa, A. A. (2006). How to analyse and develop healthy menus in foodservice. Journal of Foodservice, 17(4), 159-165. Campbell, W. R. (1936). Obesity and its treatment. Canadian Medical Association Journal, 34(1), 41. Ward, E. M. (2014). Spices and Herbs: Their Health Benefits. Bunning, M., & Kendall, P. A. (2012). Salad Greens, Health Benefits and Safe Handling. Colorado State University Extension.